« A Good Morning and a Rapid City LPL Giveaway! This entry was posted on Monday, November 22nd, 2010 at 1:30 pm	and is filed under Events, Recap Videos, Rich Kalonick. You can follow any responses to this entry through the RSS 2.0 feed. You can skip to the end and leave a response. Pinging is currently not allowed. Wow! Every time I watch one of the videos I get goosebumps. I know how it feels to be there at one of the LPL events. They are truly amazing and I always get something out of them. My next one will be when I go see my best friend next September when you all go to Baltimore. I am so looking forward to it. Beth, I hope you and your family have a very Happy Thanksgiving. To all the Sisters out there, Happy Thanksgiving! I pray you all have an enjoyable holiday. I saw a Miesta Moose! Loved the scene of the man praising Jesus. So sweet. haha yes you and Miesta Moose right in the beginning! I saw Miesta Moose, too! Glad you could go and worship the Lord and open the Word together!! I was happy to see you and Miesta Moose walk in the door! I loved seeing your sweet face! Love you Moose Mama! Yes, the elderly gentleman raising his hands blessed me too! Great job Rich. Thanks so much for sharing these events. Sure makes me want to start planning to attend a LP event soon! So jealous! I wanted him to come to Spokane! I loved the man praising Jesus, too! It was great to see men at this meeting! What God gives you to share with us is good for them also! Beautiful song. I feel the warmth and glory of it hundreds of miles away on this gray, drippy Northern Indiana day. Beautiful faces. I see worship in the faces and uplifted hands of women of all ages, all sizes, diverse backgrounds. Beautiful Holy Spirit who brings hearts together and points them to the Healer. I can only imagine what this sight must be to our Almighty God and our Lord! You know His heart overflows with love in watching all of these ladies bow their heads in prayer and raises their voices in song to sing of His wonder! And then, to see from His view, them all open the pages of what He has written to hear what He has to say individually and specifically to them…………….. I wonder at His heart when He sees!!!!!! I had a fun moment the day after I was at that conference. At one point Beth taught on the widow who looked for the silver coin, and how she was poor and it was very important that she found the money…well, I have a very kind uncle who sent us $40 and told us to take our kids to McDonalds. 🙂 We told the kids we’d go after church, but as we got ready to leave Sunday morning (running late, of course!) we couldn’t find the envelope with the money…and the kids were excited about their Happy Meals that day! Now I don’t consider our family poor by any means, but $40 is $40 and we don’t do fast food with the kids that often. My husband and I scrambled around to find it, even looking under our kitchen table (that’s where the “sweeping out the house” part came to mind. 🙂 We finally found it, and rejoiced that we wouldn’t have to tell our kids we’d have to McDonald’s on another day, so we got a fairly literal example of that parable in our house…and I had a story to tell my “tas philas” at church that morning! Thanks for such a great weekend, Beth & team! Hope you can make it back to Rapid City sooner than later! As always…THANKS so much for posting, such a blessing! I’m sure i’m going to make an idiot of myself asking this, but what’s the concept behind the LPL events? Is it like just bible study and worship? Is it a series? What’s the format like? (Or is it a surprise.. lol.. 🙂 ) I’m sure the answer is on a post SOME WHERE… I thought to look for myself, but THOUGHT AGAIN ’cause this blog is HUGE! Anyone who’se been, can you fill me in? thank you. thank you. I’ve been to several conferences now and have loved every one! It’s a Friday night and a Saturday morning and it’s divided up into three sessions. Each session Travis and the praise team lead worship and then Beth teaches a lesson (3 total). The lesson topics flow together from one session to the next but of the conferences I’ve been to, the topic has never been the same. Does that make sense? Hope that answers your question! You were one of my delights in Rapid City! Your message is in my heart, mind and soul…as well as tucked inside my lost baggage that has yet to find it’s way home to me here in Dublin, Ga. Can’t wait to read through my pages of notes and to hug my Bible again. I’m lost without it! It vanished in Minneapolis when they checked it for my flight home to Atlanta (I almost threw a holy fit)! Other delights…arriving to Rapid City’s first snow and driving through Hill City’s Main Street at midnight with no other tire tracks in that gorgeous blanket of pure white snow…The Rim (my cabin deep in hunting land with road names like Remington Rd. and Wrangler Dr.)…peppermint mocha Starbucks that I never got to drink warm because the Holy Spirit brought a soul hungry to hear a fellow sojourner encourage him in his faithwalk…Melana and Miesta Moose and all my siestas…and GOOD GRIEF but Travis and his team were on fire!…(Hi Hawk! )…a herd of elk and a herd of RUNNING Texas Longhorn cattle seen close to Hell’s Canyon (I survived and went through twice! )…Mistletoe Ranch…an AWESOME hat at a museum in Hill City (Big and Rich style)…did I mention snow?…and Mount Rushmore at 19 degrees (quick trip)…bighorn sheep?I think that’s what I saw…mule deer that I just quit counting I saw so many…and a herd of miniature ponies across from huge busts of our “ThreeFathers” as compared to our “FourFathers”(they were Ronald Reagan/George H W Bush/John F Kennedy)…and E.A.G.L.E.S!!! I truly believe God drew me to Rapid City for this event and met some sweet needs in my life. And I believe He has given me a new name…Deborah Soars With Eagles…got that from my parking attendant at the airport, Jakob Walks With Eagles. Psalm 91. John 16:20-22. Circling in JOY. He sings over me. Love you and I am so glad to call you my Siesta! Thank you for sharing the special WORD just for me. I treasure it…and yes, I AM much loved. Hey Sweet Friend – I am thrilled with your entry here! So thankful God was with you in every single moment and every delight. He IS our delight! Praying you have your luggage now – I know how you are about your Bible! I am the same way – do not part me from my Bible! I can’t wait to hear all about your trip and so thankful God met you there…He is so faithful. These things always make me cry – but it’s a good cry! The music is always beautiful and the pictures say so much! Thank you for sharing! This event was a blessing for 20 women from my church, myself included. What a great way to go deeper in our friendships and faith. LPL, I thank God for you! South Dakota loves you right back! These videos always knock my socks off!!!! They are so great Rich!!! Thank you so very much for your time!!! I also saw Miesta Moose!!!! Travis your voice continues to thrill me……thank you so much for using it to the glory of our God and Savior!!! The whole LPL team is such a blessing to all of us Siesta’s. I pray as do many more I’m sure that you all have a very Blessed Thanksgiving!!!! Happy Thanksgiving to the Moore’s!!!!! Praising God for His greatness and love. He will help you when you have to face your fears. For He is always close by and very near. always there,even until the very end. Ladies I have an urgent prayer request. We have some good friends who are with their daughter right now at the doctor’s office for an intervention. She attempted suicide about 18 months ago, and through God’s grace survived and has been making strides. She is at another crisis point and tried to run away last night, and admitted to her mom she’s been having suicidal thoughts for the past 3 weeks. They are Believers, but right now the mom is really struggling with why God is allowing this to continue in her daughter’s life. I was just about to share part of God’s message Beth delivered this weekend about anguish and joy, when she was called away from the phone. Please pray for peace for all of them, and a reassurance of God’s very presence. Incidentally the events of last summer drove the dad to seek a greater and deeper relationship with the Lord, and it’s been amazing to watch him grow. Pray that they would see the joy in all this anguish! Heartfelt prayers being ushered to the throne for your friend and her family. In Christian love from Iowa. A great big HELLO to Amanda! Thanks for the post. I almost did not go to the conference. A friend gave me an imaginary kick in the bottom (which I needed). 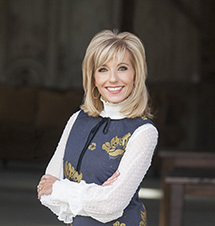 I knew the enemy was not wanting me to go but God wanted me to hear His words through His servant, Beth Moore. The “anguish and joy” message was meant just for me. I had never heard it defined so clearly. Now I must repent and receive the Joy the Lord has for me. Thank you so much for coming to Rapid City. I will remember this “awakening” event always. Respectfully in Christ, Toni Rangel, Rapid City, S.D. Is it seriously -1 degree in Rapid City right now? brrrrrrrr! I’m not sure of a better way to get the word out and I hope it is okay that I post this here… This woman, Asia Bibi, has been given the death sentence in Pakistan because of her faith in Christ. Would you take a moment to sign a petition to have her freed and help to remember those who are mistreated (Hebrews 13:3). What a multitude of blessings!! I really enjoyed watching the video. Praising God brings such great feelings and rewards. It is great to see others feel the same way. Happy Thanksgiving! May the blessing of Christ always be upon you! Just how AWESOME is our God? Remember, in order to be thankful, you need to be giving. That is the heart of thanksLIVING. Living by giving thanks to the One who gave it all. Praise you Jesus, may you receive all GLORY. Love it! Love it! The video of the event is right at my heart. As you all, the evening of this event were praying for souls to be set free, here in Wy came one of your answers. A young women here found strenght to break away from a sin that was crippling her in her ministry and walk with our King. No she was not at this event…but Our LORD KNOWS and SEEKS all over the world as believers pray for souls to be released from satans grip. I just thought you should know. I keep checking for Talk to Me Tuesday. Are you doing it today? If not, Happy Thanksgiving to all of you! I love the shot with all of those Bible-filled laps! Rapid City conference was my first! It was an amazing 24 hours! I am always in awe of how God works through women. Thank you for coming to South Dakota! We love ya! My friend and I will be attending Deeper Still in a couple of weeks in Alabama. We are travelling from Conway AR, a 6 1/2 hour drive. It’s going to be such an amazing bonding trip! We cannot wait!!!! I attended one LPL last October in Memphis and a simulcast this year in Conway AR back in September. There is nothing like experiencing God’s awesome power among many many many women, all under one roof, praising and worshipping God. I can barely sit here and type this I am so excited!!! Thanks for posting this video. Got me all giddy about the trip all over again. I was able to go to Rapid City, and it was amazing. Beth, thank you for the wonderful words that you spoke, although each of us are in a different area, your message was powerful. Travis and crew – you guys rocked!!!! Your praise and worship was so amazing. I honestly felt as though God was right there! Beth – I do have a question — I was wondering if I could get a copy of the words that you had us speak over each other at the end of the conference. I would like to put a copy of it in my house, so that I might remember those powerful days. I am willing to pay, if they are somewhere I could purchase them. Thank you so much for being willing to come to South Dakota, and share God’s word with us!! The Moores (and their daughter’s families) and the Cottrells are in my prayers daily! Thank you for everything. Beth we loved, loved having you and your team in Rapid City. Thank you again for such a wonderful retreat. All three of my daughters were there and gave their hearts to the Lord! I just watched the video and one of my fellow church members and sister in Christ is on the video so of course I had to email it to everyone! I’ve attended several of the Bible studies you have published and one of the live simulcast but nothing compares to being there and experiencing the power of the Holy Spirit among all the believers in the room. Praise God! Hello Ladies!! Does anyone know if the commissioning from the Rapid conference will be posted?? I would LOVE it have it!!! Thank you, these recaps are so powerful and bring the reality of our Sisterhood in Christ across this nation. Go Beth Moore and LPM! Point #2. “With God anguish and joy can co-exist.” My daughters and I immediately thought of when my youngest sister, Melody, who was 22 yrs old and pregnant was shot in the head by her husband of 2 yrs. While she lost her life, through the miraculous grace of God, her infant son was spared. Truly anguish and joy all mixed into one enormous event. In spite of the horror of that time, God granted peace in the midst of it. Such a blessing to hear Beth give the 8 points that God has demonstrated throughout my life. My girls listened and are still being changed by the message. Thank you Beth and team! Beth, I know this is so unimportant, but I absolutely love that skirt and top! So fun! I am so looking forward to Deeper Still Birmingham, AL. This is a much needed and much awaited chance for time away with friends, God and you three hilarious and amazing women of Christ. I am looking forward to what God has in store and am joining the prayer group for the conference.